As a presidential candidate, Donald Trump promised he would pay down the nation’s debt in eight years. But more than two years into his presidency the national debt is more than $2 trillion higher than when he moved into the White House. The nation’s debt is now $22 trillion . Trump’s failure to keep that campaign promise, however, doesn’t seem to be hurting his standing with voters, because, according to Deutsche Bank, they don’t care. 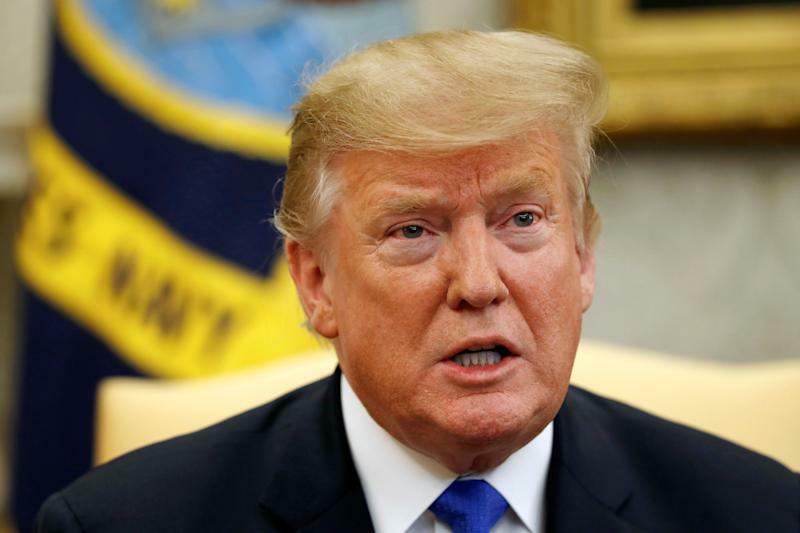 That analysis suggests the ballooning national debt won’t hurt Trump’s chances for re-election in 2020. According to Deutsche Bank, the gross federal debt (both the debt held by the public and federal government accounts) as a percentage of GDP is roughly 105%. Brett Ryan, a senior U.S. economist at Deutsche Bank, explains that the timing of the gross federal debt as a percentage of GDP doubling after the recession coincides with the baby boomer generation retiring. 2011 is the year the oldest baby boomers turned 65 and each day an additional 10,000 can start their retirement. “More people on the Medicare payroll, more people on Medicaid payrolls. So it reflects an aging population, it reflects a severe economic downturn which the government had to respond to by running large deficits,” says Ryan. In 2013, more than 70% of people said reducing the budget deficit should be a top priority for the president and Congress, according to a recent Pew Research Center survey . That number has fallen to about 48%. 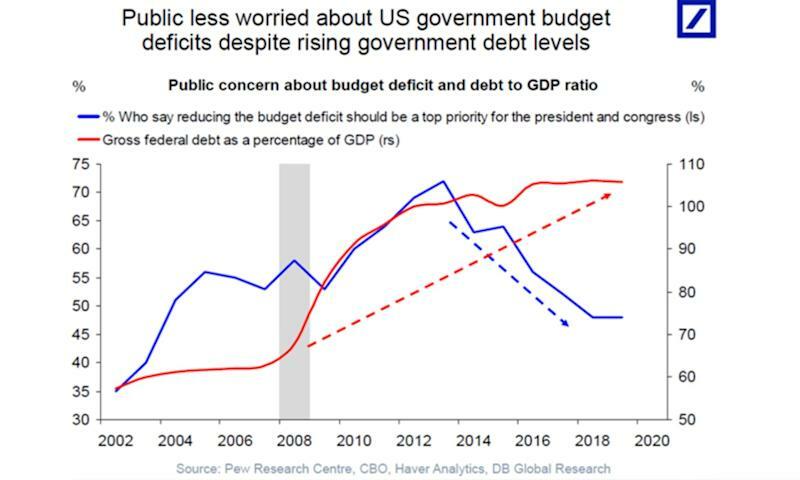 As the U.S. government continues to run consistent deficits, and debt to GDP doubles, the general public has become less concerned about it. “It’s striking to me in the chart that there’s a sharp downturn in the people polled that are starting to see the federal deficit as a problem,” says Ryan. The climbing federal deficit isn’t necessarily something that touches voters’ lives in an immediate way — it’s an abstract figure with lots of zeros that connotes some measure of fiscal responsibility of the government. A large and growing budget deficit does pose risks, though. Ryan warns that when the next downturn comes, political resistance might make getting stimulus packages more challenging.